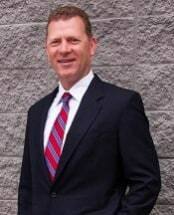 Dedicated to helping you achieve the most favorable outcome possible for your serious personal injury or wrongful death claim, The Law Offices of Jeffrey S. Gilbert in Atlanta, Georgia, provides a hands-on approach when it comes to fighting for your rights and interests in the wake of a debilitating injury or devastating loss. Led by experienced trial advocate Jeffrey S. Gilbert, our law firm has served the residents of Fulton, Dekalb, Cobb and Gwinnett counties since 1983. During that time, we have achieved unprecedented success representing the rights and entitlements of those suffering as the result of someone else's negligence or wrongdoing, securing millions of dollars in settlements and awards for our clients. A small law firm, we deliver highly personalized counsel and compassionate support during your time of need as we aggressively pursue the maximum amount for your injuries and losses, and we have become one of the region's leading personal injury practices for amputation, spinal cord and traumatic brain injuries. If you were hurt on the job and can no longer work, we can help you obtain your rightful workers' compensation benefits, and we are always available to address your questions and concerns as they arise in order to provide you with some peace of mind about your circumstances so that you can focus on your recovery. Recognized for our success and our impeccable professionalism, we have earned numerous awards and honors, as Mr. Gilbert holds an AV Preeminent peer review rating* from Martindale-Hubbell, and The National Trial Lawyers has voted him among the country's Top 100 Trial Lawyers. If you were hurt or lost a loved one in a motor vehicle accident caused by someone else or through any other act of negligence, you owe it to yourself to contact The Law Offices of Jeffrey S. Gilbert to take advantage of our law firm's free initial consultation. We will promptly evaluate your claim, provide the solid advice you need and fight on your side throughout all legal proceedings to help increase your chances of recovering the full amount of compensation you deserve.